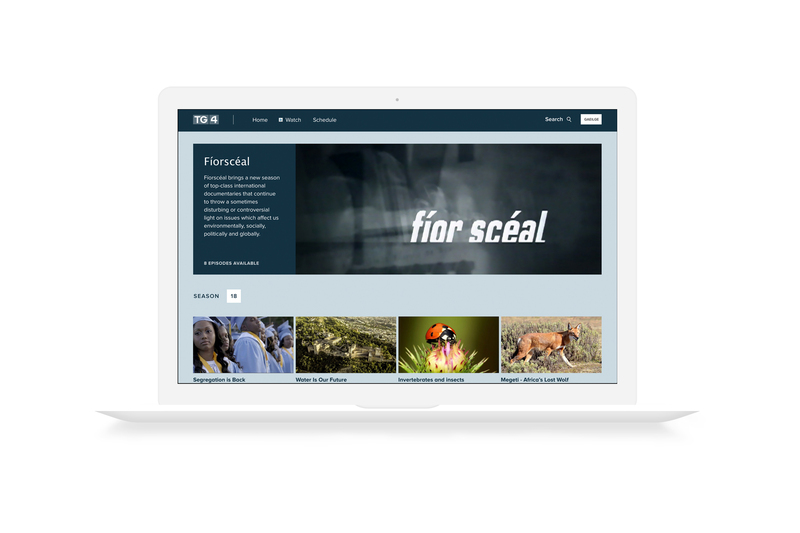 We were delighted to deliver a Design Sprint for TG4, the Irish public service broadcaster for the Irish language. The TG4 online player was the focus for the sprint following some preliminary interviews. The player is available to watch live and previously broadcast programmes from around the world. The team at TG4 comprised of the product manager, marketing, development and design. The product manager acted as the decision maker during the sprint. The team members that Red Lemonade brought were a designer, sitting in as part of the TG4 team, and of course the facilitator. As a facilitator, we specialise in product strategy to keep the four-day process focused and on track. 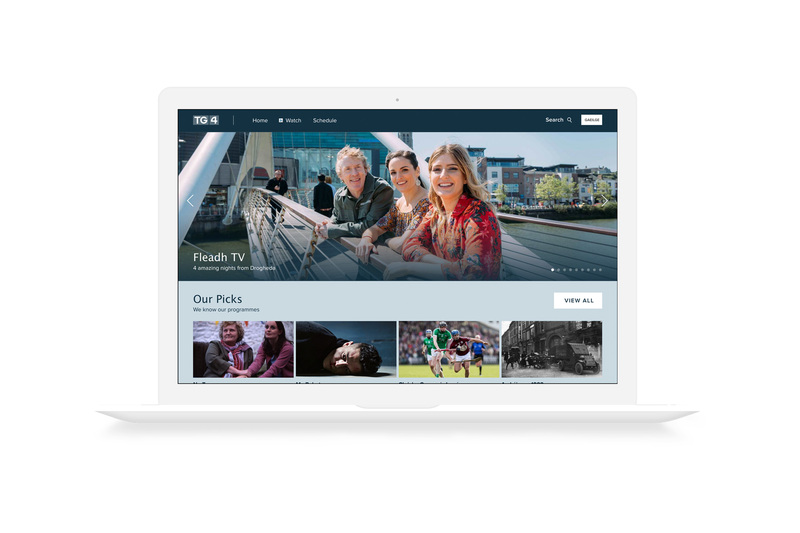 The long-term goal for the TG4 Player is to be recognised as the go-to hub of Irish and cultural content worldwide. 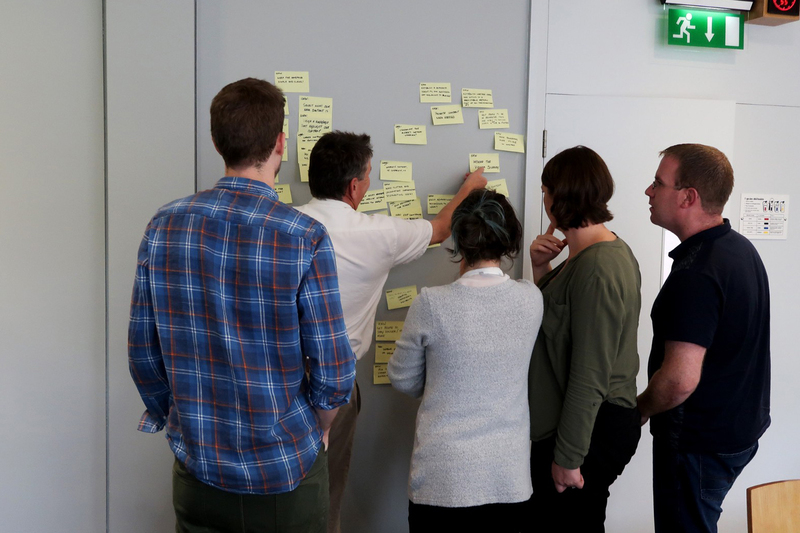 The questions for the sprint focused on how to get users interested in new content and organise the enormous quantity of existing material intuitively. The mapping exercise presented the customer journey for the player in four parts, from initial discovery, learning, using and goal of watching relevant content. Sprint questions voted on from earlier in the day were then placed on the map based on where they fitted in the journey. It became evident that the challenge was based on learning and using the player, which would be the focus for creating solutions. The solutions from the team at TG4 were varied, but all had a common alignment of curating content on the player in new and exciting ways. The storyboard from the end of day two gave a rich source of detail and material to develop the prototype and validate the ideas presented by the team. We returned to the Red Lemonade studio for Wednesday and built the high fidelity prototype for TG4. We used Adobe XD software as it was the best fit for the storyboard. The client’s design team also use Adobe XD so they would have full access to the artwork files for future development. On Thursday, the final day of the sprint we tested the prototype with five users. Earlier in the week, we had advertised for testers, then selected the most suitable ones based on the sprint goal and questions. TG4 was also involved in this selection process. It was essential to test users outside of TG4’s comfort zone to gather impartial feedback including people who did not speak Irish. We also streamed the tests live to the team in TG4. Quickly patterns emerged as to what the users liked and did not like. Curating content into categories and featured lists was successful. Quirky titles and copy with a fresh personality reframed the content in people’s minds. Having lots of video content upfront was not a problem and welcomed by the testers. 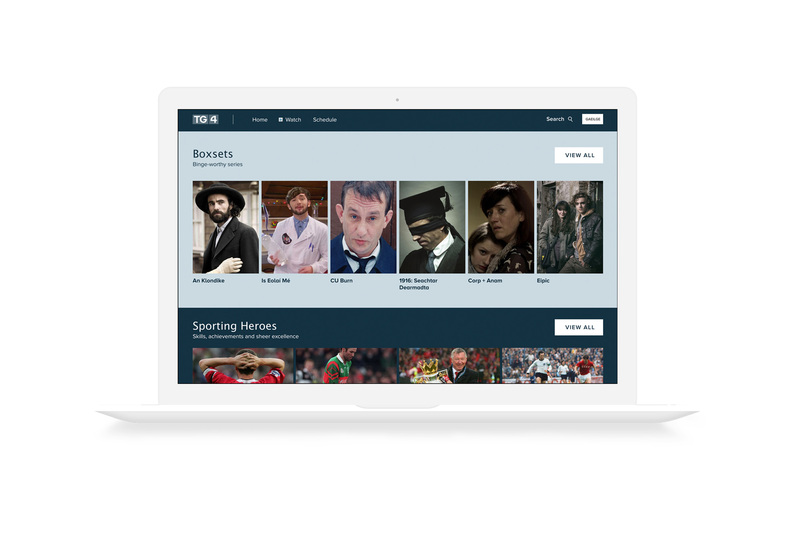 Boxsets featured on the homepage received a lot of attention from the users who were not previously aware that they existed. Some users mentioned that they would now be more enticed to come back to the player and check out these tiles. One of the challenges posed by the tests was the users' reactions to content expiring. Users saw no reason for the content to expire, addressing this confusion will create a better experience. The testers gave us insights into their perception of the product and brand that were helpful. All of the feedback was captured and organised on stickies and ordered on a board to give an overall picture of where the positives and negatives lie. After the testing was completed, we produced a summary report based on the user feedback and also product strategy insights going forward with the product. 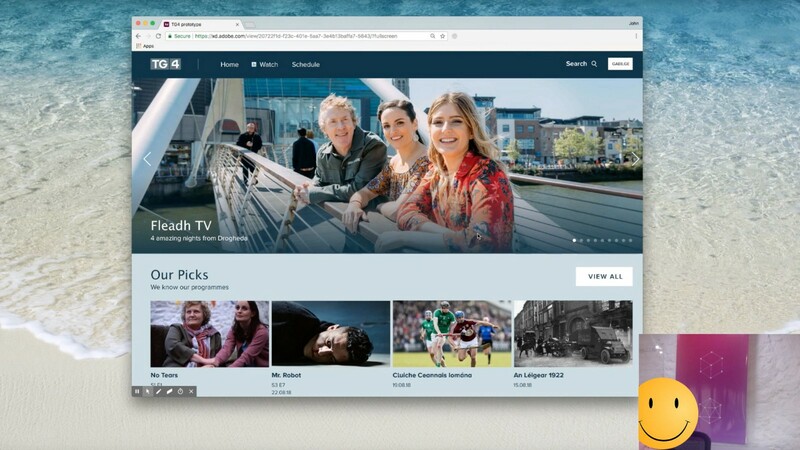 The team at TG4 is now taking the results of the sprint to each of their departments to build some of the successful ways of curating content on the site to increase engagement. Other outcomes from the sprint prototype were to readdress the advertising placement on the player. The overall feedback from TG4 was positive, they also found it a very focused way to align teams on projects. We look forward to working with TG4 into the future. 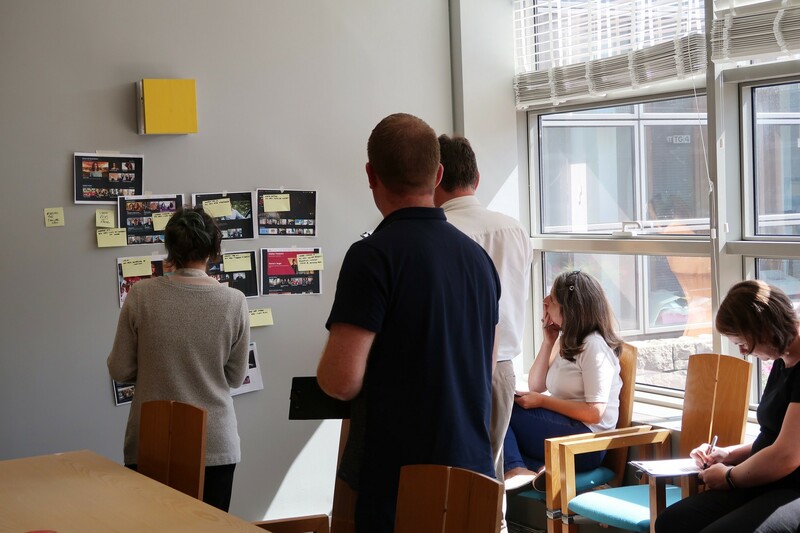 In terms of how we approach projects in all areas of the organisation, the methodology of the design sprint was really positive, creating a shared sense of ownership around the project, surfacing ideas from everybody on the team and focusing those ideas towards delivering on the goals. Lís Ní Dhálaigh, Director of Marketing and Development.